When using it in everyday conversation, “retard” may feel like just a word being used without any harmful intention. But for individuals with intellectual disabilities, hearing it is hurtful, and brings up difficult memories of being bullied and feelings of isolation. 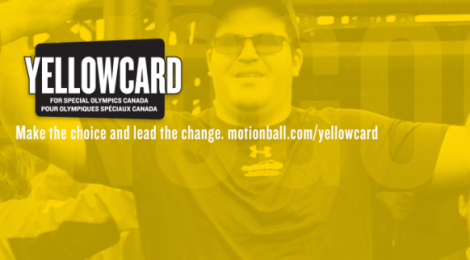 Today, you can join motionball™ for Special Olympics in the YELLOWCARD Campaign and stop using the R-word! The YELLOWCARD Campaign for Special Olympics aims to end the use of the R-word (retard) in everyday conversation. Special Olympics athletes have voiced how harmful the use of the R-word is to them. Alongside motionball, the ASD Mental Health team is committed to supporting Special Olympics athletes and those living with an intellectual disability. Join us in this anti-bullying movement to eliminate the use of the R-word through the YELLOWCARD for Special Olympics Campaign! Take the pledge to become a YELLOWCARD Ambassador, and join this movement in saying there is #nogoodway to use the R-Word! 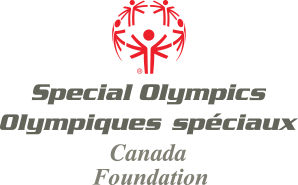 motionball™ is a not-for-profit organization that builds awareness and raises funds for the Special Olympics Canada Foundation (SOCF), targeting a “next generation” of supporters – Canada’s professional crowd who are not defined by their age but rather their mind set.